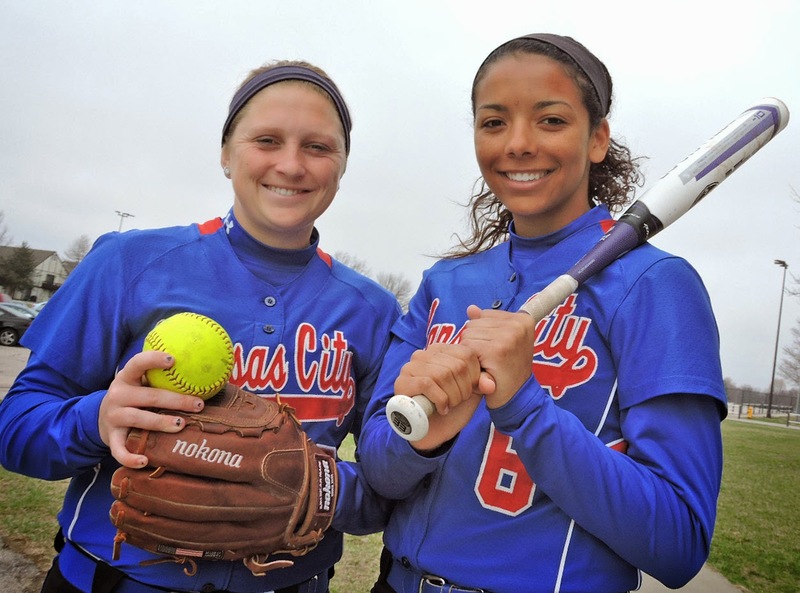 Kansas City Kansas Community College’s two returning All-Jayhawk Conference softball selections can concentrate fully on the 2015 season. Both are signed to continue their softball careers, outfielder Justice Scales at Park University and pitcher Leslie Ford at Indiana-Purdue Calumet in Hammond, Ind. A graduate of Garden City High School, Ford was the ace of the pitching staff of last spring’s 32-15 team, compiling a 22-8 record with a 1.91 ERA, while Scales was second in hitting with a .491 average. A graduate of SM South, Scales led in extra base hits (29), was third in RBI (41) and played errorless in anchoring the outfield in centerfield. Scales said coming to KCKCC was a last minute decision. “I was going to go to Kansas State and not play softball but then Coach (Kacy) Tillery talked to me and I decided to continue my softball career at KCKCC. A good decision,” said Scales.